Ensuring your school environment is a safe, secure and healthy place to be is one of the most important aspects of school, academy and multi-academy trust (MAT) management. The buildings in which your pupils learn and your staff work must, by law, meet an increasingly intricate set of regulations and statutory and corporate standards. This is why we’ve developed our school and academy asset management software with a specifically designed premises management module, created to help your school, academy or MAT stay one step ahead of regulation checks by centralising your task list. And now, we are proud to announce the release of our premises mobile app – a full-scale version of the premises management module for mobile devices such as tablets and smartphones. Developed in conjunction with leading MATs, such as STEP Academy Trust and Cambridge Meridian Academies Trust (CMAT), our premises mobile app takes every aspect of your buildings, grounds and H&S management and makes it available while you’re on the move. After all, what better way to assess the status of your premises than as you walk around it? 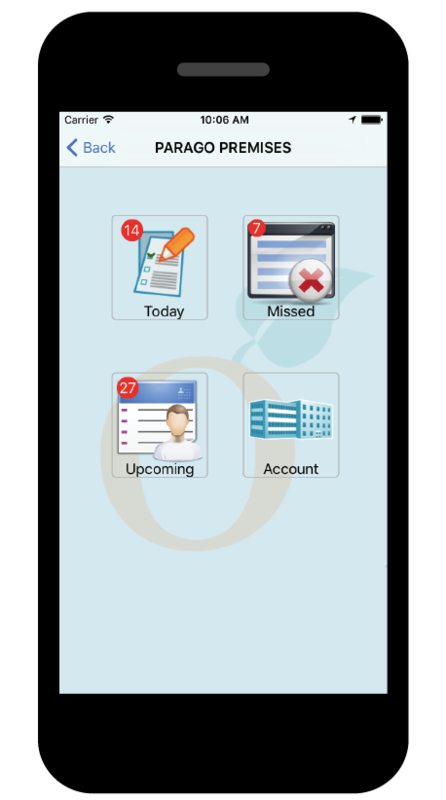 Our premises mobile app can revolutionise the way your caretaker, site manager or contractors keep your school, academy or MAT compliant and on track with scheduled maintenance. This will save valuable time that your premises team would otherwise have to spend on paperwork and administrative records; this comprehensive yet straightforward app provides them with a thorough, up to the minute and accurate working checklist in their pocket. Quick and simple to update and accessible to multiple users from any connected device, the premises mobile app works directly with your school account through cloud technology. It automates the process of planned maintenance, scheduled works and health and safety checks, storing them in one central location to eliminate double booked or missed jobs, which is particularly vital if you have multiple sites to manage. Fully customisable to your school, academy or MAT’s unique requirements, the app can alert you to upcoming inspections and routine risk assessments for standards such as fire safety, PAT testing, security and water quality, with plenty of time to prepare for them. Simply put, the premises mobile app can become your premises teams’ to do list, without the pen and paper. It simplifies the whole process of premises management and assures the school leadership team that protocols for compliance are being followed to the letter. As we’ve already highlighted, our premises management module, and subsequently our premises mobile app, have been produced in collaboration with two prominent MATs. The premises management module and mobile app are standard within our software packages, School Inventory Manager and Academy Asset Manager. It is also a feature of our specialist software for school federations and MATs, our Multi-Site Account Manager module, which centralises bookings, contracts, premises and ICT services across a number of sites and can save thousands of pounds, whether you are a three or thirty school entity. To discover more about effective premises management for your school, academy or MAT, contact us today.